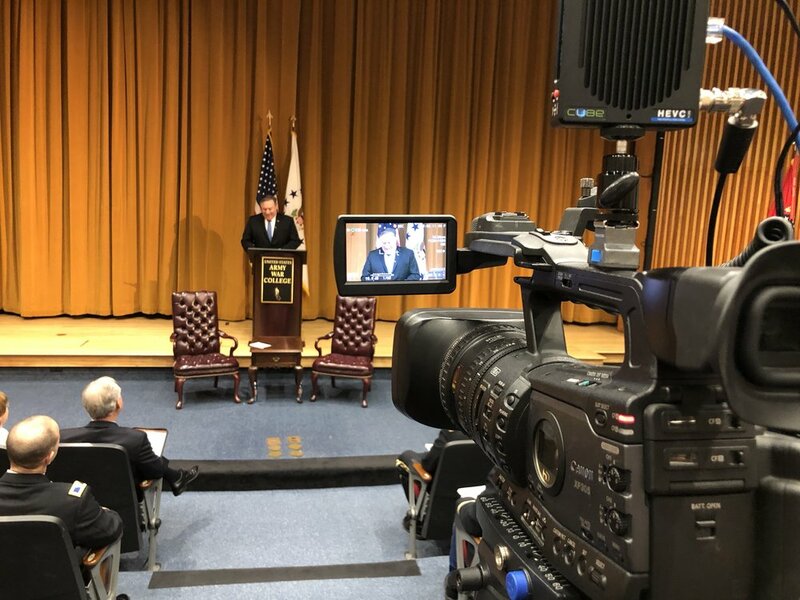 US Department of State Live Stream — Focal Point Productions, Inc.
Focal Point was hired by the US Department of State to live stream Secretary Michael Pompeo’s remarks at the Army War College in Carlise, PA on April 1, 2019. The live and recorded video was provided to TV stations and network around the world, and featured on the State Departments website. Marty got his start in video production at the age of 13. Now he's the President of Focal Point Productions.